Pete Bouchard has the latest. 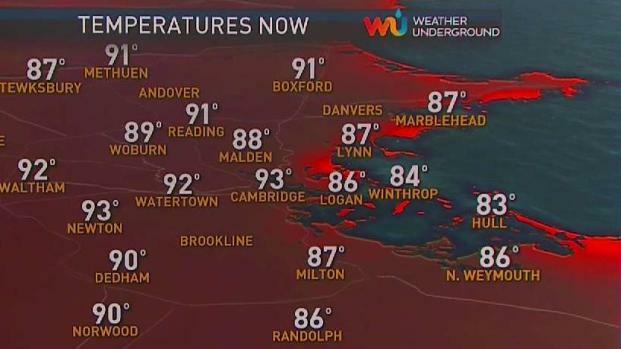 The hottest Independence Day in Boston was back in 1911 with a high temperature of 104°. Temperatures, thanks to the easterly wind may stay in the 80s. 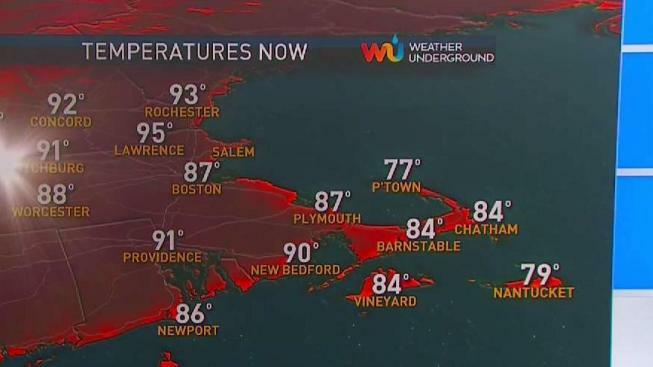 Since records began, on the Fourth of July, Boston has hit 90° or higher 17% of the time! In the middle of this extreme heat, it’s remarkable witnessing the power of the cooler ocean water. The wettest 4th was only a few years ago in 2014 with nearly 2” of rain. Our heat will break by the weekend. Interior New England may see 90° through the day on Friday, which mean an 8 day heat wave! Saturday and Sunday can’t get much nicer. Both days should feature sunshine, low humidity and temperatures around 80°. Showers and thunderstorms are possible Thursday and Friday. It’s possible that on or two storms may turn severe on Friday. At this point, if severe thunderstorms develop, they would produce gusty winds and very heavy rain. It’s likely that the heat and humidity will make a return next week. We aren’t thinking that it will be as extreme as this past week, but it will be hot and 90° is possible.